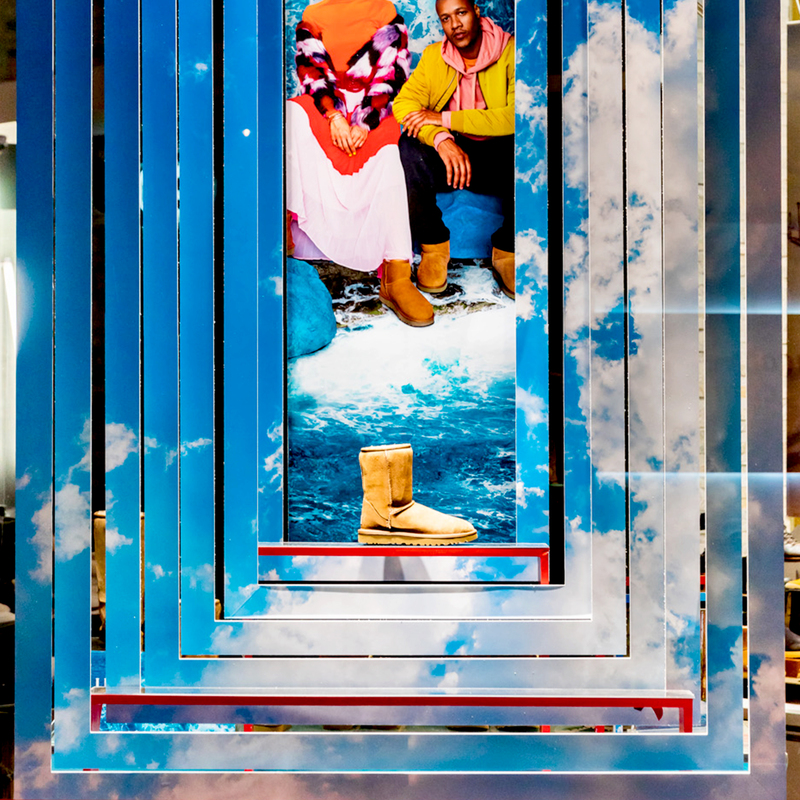 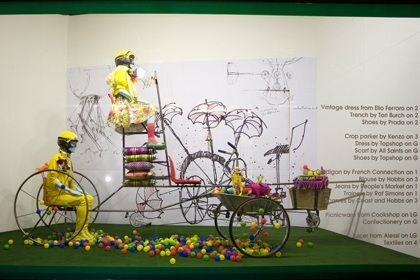 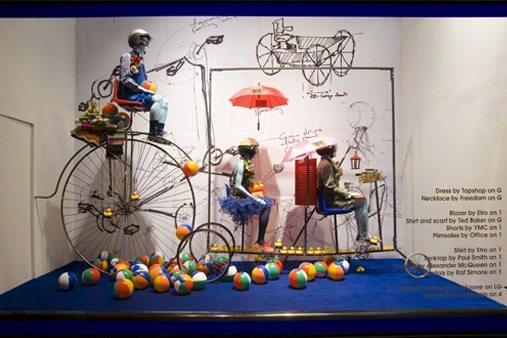 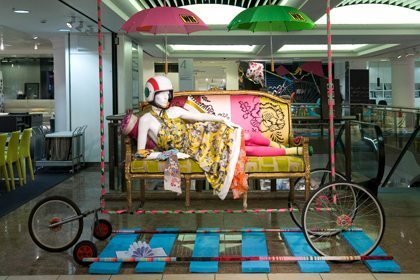 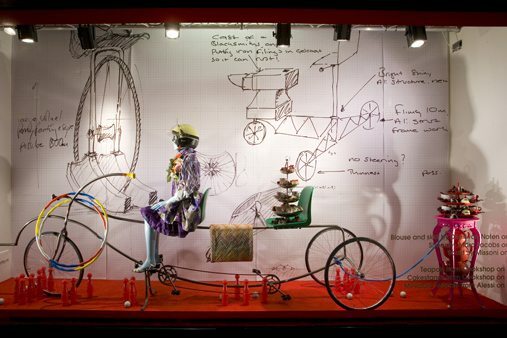 Selfridges came to Prop Studios with a “Wacky Races” brief for in-store Visual Merchandising and their Window Scheme. 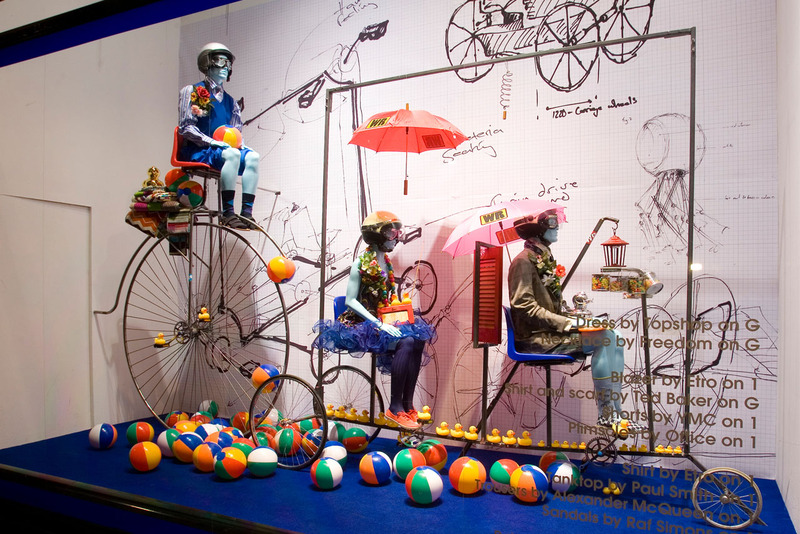 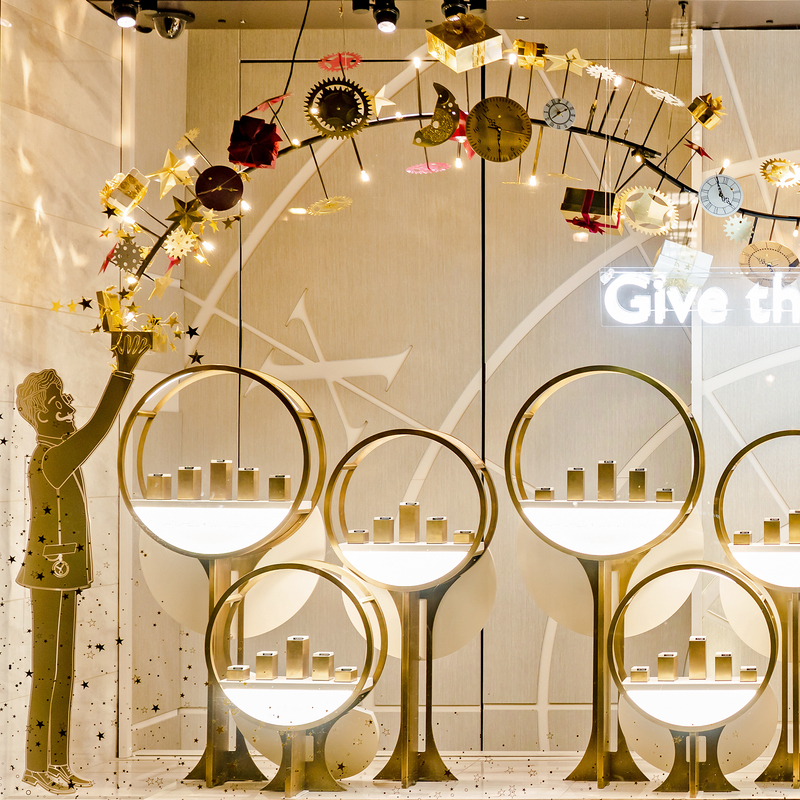 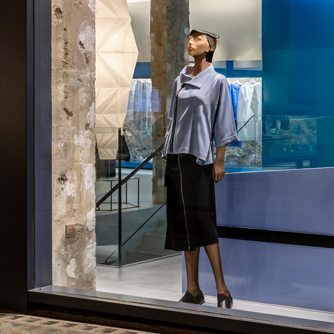 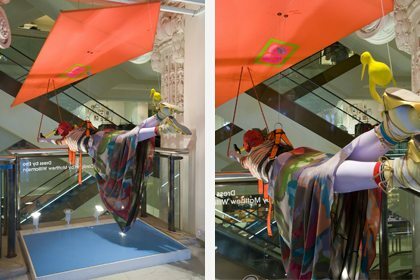 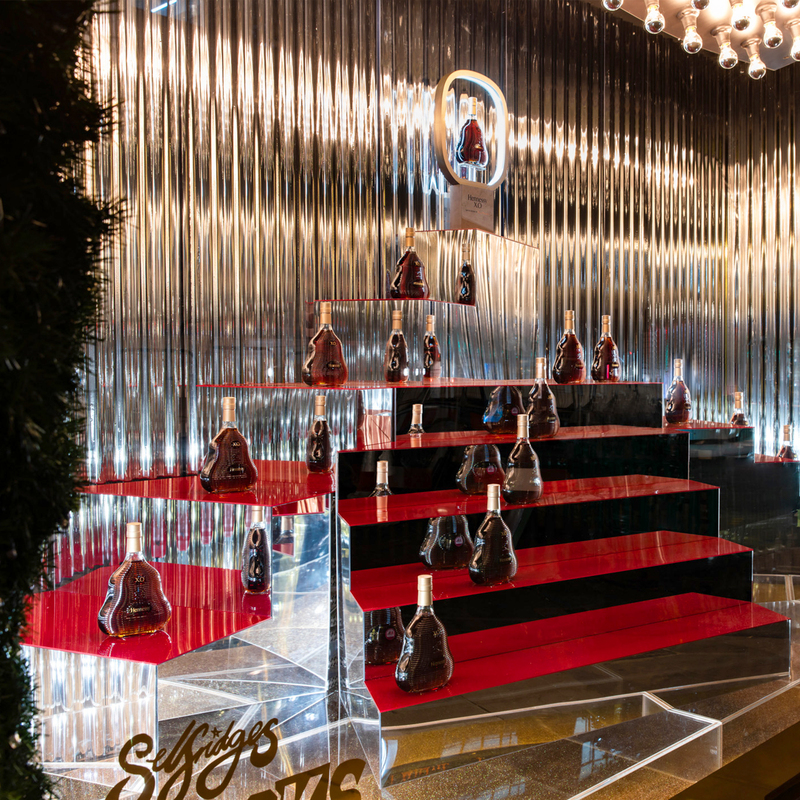 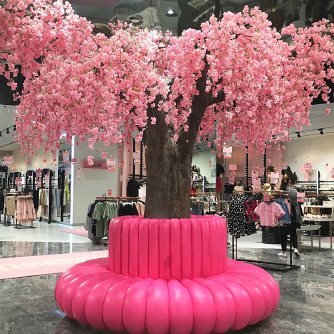 Prop Studios designed, manufactured and installed the full scheme across the Selfridges London windows and multiple in-store activations. 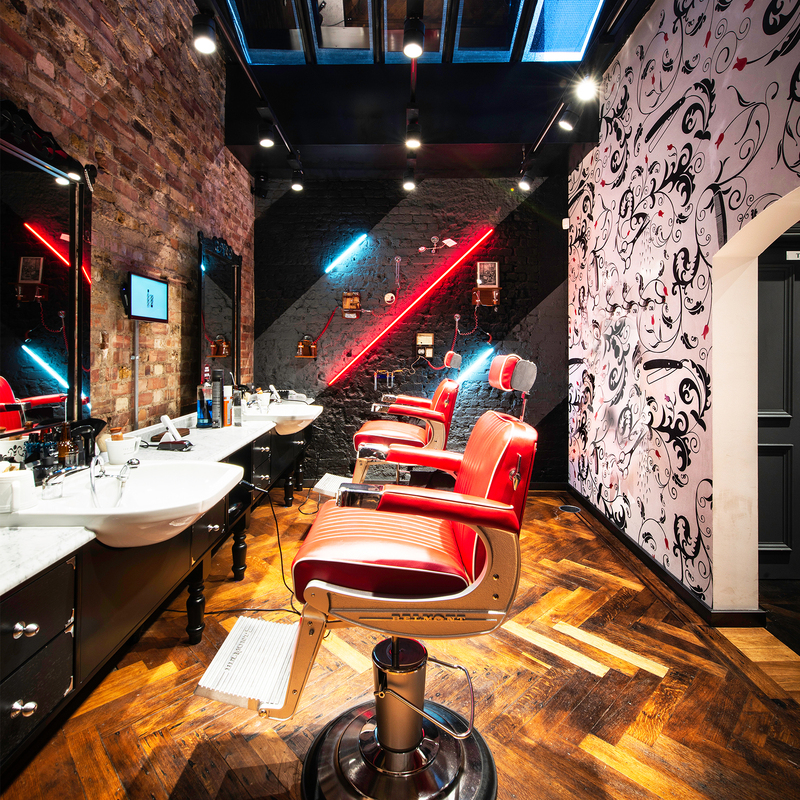 This highly regarded scheme has inspired many of our clients and is frequently referred to within the industry. 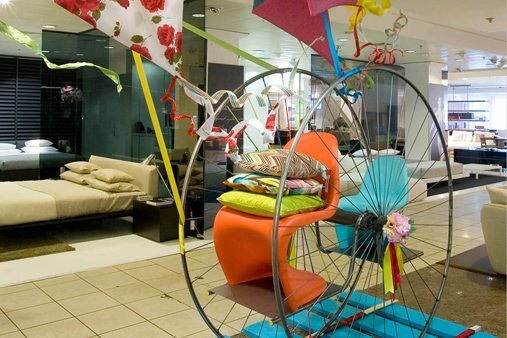 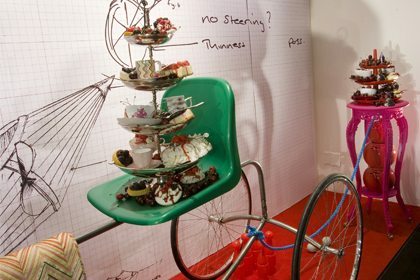 The Wacky Races theme (as seen on WGSN) is created by a vast display of wonderfully weird bicycles and wheeled contraptions all specially hand crafted by Prop Studios’ in-house workshop. 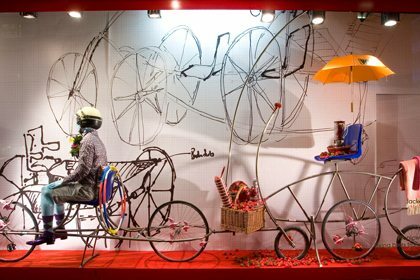 Our production facility constructed the vehicles out of metal in an array of shapes and sizes. 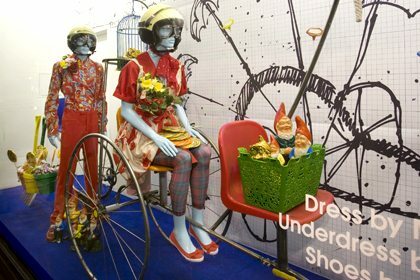 These were then dressed with items promoting Selfridges’ latest product range. 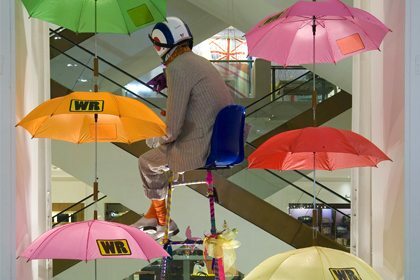 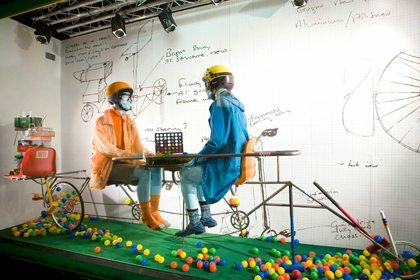 Mannequins wearing multi coloured helmets are staged on the vehicles and dressed by designers such as Stella McCartney, taking consumers though a visionary world of travel and discovery. 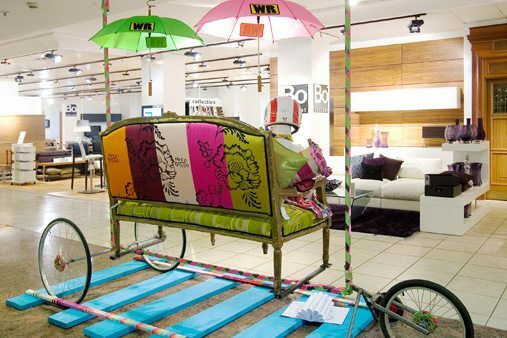 The scheme won the very prestigious RVM ‘Best Overall’ Award.